Since it is the last day of the year I have been doing some reflecting on 2011. I did manage to get two books written and published this year, which I suppose is not too shabby. I continue to struggle with technology issues, mostly the fact that my house history website is still unavailable to me for posting. Getting a new person to help me with website frustrations is at the top of my list for 2012 resolutions. I have been thinking a lot about where I see Provenance Publishing going in the new year. I really don't have a new project in mind for myself at this point. I thought about doing a short ebook on researching your Webster Groves home, but do I really want to go to the effort and expense to produce a book that has an even smaller market than my first book? I don't think so. While I contemplate that, I did at least set up a Facebook page that will give Webster Groves residents suggestions on where they might find records to help them with their research. I have been talking with an author about consulting on his book project. I like the message of the book and think that I can offer valuable advice on how to write and publish this book. That would be a new direction for my publishing company, and that excites me. So I guess we will see what 2012 brings. As 2011 rolls to a close, I realize that it is once again time to get ready for the tax man. The state of Missouri has already kindly mailed me the form to pay my state sales tax for the year. But that is just one small piece of owning a business which (hopefully) makes sales. Because I set up my publishing company as an LLC, the business is essentially run through on our personal tax form. But I still need to get to my accountant all the expenses and income that were incurred by the business during the year. Considering that the IRS says that you must make a profit in three of the previous five tax years in order to be considered a business and not a hobby, I always think twice about which expenses I want to declare. It is hardly fair that they will take 2009 into account since I just established the business in November of 2009, but no one has ever accused the IRS of being fair. I have not sold many books in 2011, so unless I want to declare only minimal expenses for the year, there is no way that I can show a profit for the year. The fixed expenses of website hostings and securing the domain names for myhousehistory.net and provenancepublishing.com and .net probably exceed the profits from book sales this year. Since I declared a loss for 2009 and 2010, does that mean I have to declare a profit during the next three years in order to maintain status as a business and not a hobby? I guess this is a conversation I will be having with my accountant next month. Amazon - Author Friend or Foe? There has been a lot written lately about the way that Amazon is treating authors, particularly those who have self-published their books. I am fond of saying that Amazon does not play nicely with others in the publishing sandbox. The pricing structure is skewed towards Amazon even if you go through CreateSpace, which is owned by Amazon. And if authors don't go through CreateSpace they may find themselves in the position, as I did, of Amazon listing their book with a 5-8 week delivery date. In our world of instant gratification, people are not going to order a book with that kind of delivery attached to it. 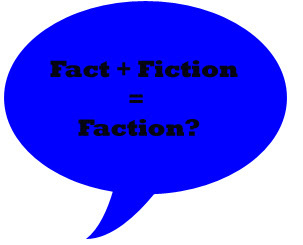 Lynn Serafinn wrote an excellent blog post on this subject, and you can find it here. I had just finished reading Serafinn's post when a beeping noise alerted me to a new email in my inbox. Coincidentally it was from Kindle Direct Publishing (KDP), which is Amazon's vehicle for getting an author's ebook ready for sale on the Kindle. My ebook Keys to Unlocking House History was first formatted for ebook readers through smashwords.com, but I also set up an account with KDP to ensure that the ebook would be available on Amazon. Consequently I receive emails from KDP, and this one was notifying me of a new option called KDP Select. Basically the new service has to do with the Kindle Owners' Lending Library. If you haven't heard of the Lending Library yet, Amazon Prime members can borrow at no charge one ebook book per month with no due dates. To date the books had been limited to those from traditional publishers. 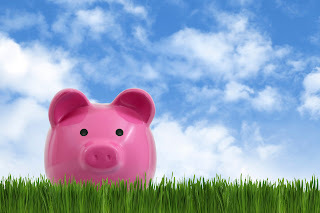 Your share of the monthly fund is based on your enrolled titles' share of the total number of borrows across all participating KDP titles in the Kindle Owners' Lending Library. For example, if total borrows of all participating KDP titles are 100,000 in December and your book was borrowed 1,500 times, you will earn $7,500 in additional royalties from KDP Select in December. Enrolled titles will remain available for sale to any customer in the Kindle Store and you will continue to earn your regular royalties on those sales. Now here is the catch - you must make your title exclusive to the Kindle Store for at least 90 days. Traditional publishers who are participating in the Lending Library are not required to make their titles exclusive to Amazon, but self-published authors must in order to be in this program. Amazon's email to me stressed that I will have access to a new set of promotional tools, reach a broader audience and be given a new way to earn royalties. And here is the kicker - KDP's Terms and Conditions (which can change at any time at their discretion, and did change on December 8, 2011) state that all digital books are automatically included in the Kindle Book Lending program. So if you have a KDP book you are in the Lending Library whether you want to be or not. But the only way you will be paid for having your book there is if you remove it for sale from all other markets, including your own web site. Good deal or not? Yesterday was the St. Louis Publishers Association (SLAP) transition meeting. It is a 6 hour event where the old board meets with the new board to brainstorm ideas for the new year and explain board responsibilities to new board members. My husband had graciously offered the meeting room at SWT Design for our meeting, which was great because we bring food along so we need a place that doesn't mind if we eat there. The down side for Jim was that he had to go there early with me to get coffee going and help me set up the room. Plus he had to come back at 3:00 for clean-up and to reset the alarm. But it was a great meeting space, and everyone was very appreciative that we could hold the meeting there. I am not continuing on in the role of Communications Manager (i.e. newsletter editor) but instead decided that I would like to be the Membership Chairman. The position is currently held by Linda Austin, but she is going to be Treasurer next year. I like the idea of greeting members and guests at the door of each meeting, and getting to know more about who is attending our meetings and how they heard about us. We have 4 new board members joining us for 2012, which is going to be great. I can already see that they have fresh ideas to bring to the table. Looking forward to seeing what we can do with the SLPA in 2012! As the end of the year approaches (!) I am trying to get a handle on the Who's Been Sleeping in My Bed(room)? books I have out on consignment. The St. Louis Genealogical Society has had 5 of the books since day one and I have received no payment from them. The weekend before last when I was in their office I noticed that only 2 books remain on the shelf. Have they sold 3? My neighbor bought 1 there, so I know I am owed for at least that book. The lady in charge of the shop is a little hard to get in contact with, so I have sent her an email and hope to hear back from her soon. The Webster Groves Historical Society is the easiest to deal with. They had sold 3 more copies of the book, so I went over there yesterday and was paid in cash for those. While I was there, a local woman was looking through the original Webster Groves tax books in an attempt to research the history of her home. She has checked my book out of the library a couple of times, so she was familiar with me. I gave her a few pointers on other places to look. It was a little disconcerting to hear her say that our library told her they have nothing except my book (yay!) and a CD with a spreadsheet on it listing some of the tax payments. There is so much more at the library than that! When our library renovation is complete I definitely want to schedule a session on how to research the history of your home. The current president of the historical society asked me (again) to serve on their board. Unfortunately their board meeting conflicts with the St. Louis Publishers Association meetings, so I just can't do it. I told her (again) that I would really like to work with the archivist in organizing the historical society collection. No one knows exactly what we have, which is a shame. That is when she told me that the archivist left this summer to move to Oklahoma. She then wanted to know if I would take over. I explained that I am not an archivist - I am quite sure there are things one should know about handling and storing the old records. (Such as the fact that our original real estate tax records dating back to 1897 should not be on metal shelves close to the floor in an old building!) I really would love to help, but I am a bit concerned that if I step forward I will be biting off way more than I want to chew. I'll have to do a lot of thinking on that. Today will head over to Puddn'head Books. The last time I was in there they were getting ready to move across the street, so we decided that I would bring more books over after the move. At that time they only had one book left on the shelf and I had given her 9 the time before. So I will be looking to collect some money there as well. All of this points to one of the biggest drawbacks of self-publishing. In addition to being the author and the publisher, you also become your own distributor - at least in St. Louis where the one distributor was driven out of business when Borders collapsed. This means you have to be responsible for getting your books out in the market, tracking them and collecting payments. Definitely not the fun part of the job. Catch-22...not a good position to be in. My web host now is blaming Yahoo, which is where I purchased the domain name for myhousehistory.net, for the fact that I cannot log onto the site. This would not be a huge deal except that Yahoo does not show a record of my account, despite the fact that I have an April 2011 paid receipt from them for the domain name. Yahoo does not list a phone number for help, instead preferring to deal with issues via their online chat. But they won't chat with you if you do not have an account. Thus the trick bag I now find myself in. I am truly beyond frustrated by all this. My next step at this point is to move the whole account, domain name and web hosting, to a new company. I am hopeful that since my website is all backed up at WordPress this will not be too big of an issue. I just have to find someone to take care of it for me, because I truly do not have a clue. Who ya gonna call? Webusters? Recently I came across a blog by Kris Wampler, author of the book Love Train. In addition to discussing his own writing, Kris talks to other authors about their experiences in writing and publishing books. Check out his blog for great interviews with independent authors. Here is my interview as it appears on Kris’ blog. Kim Wolterman is a non-fiction author and focuses much of her work on writing about historical research. In this interview she talks about her books, what you should do before you finish your book, and what led her ultimately to starting her own publishing company. 1. Tell me briefly about your books – what are they about and what motivated you to write them? Like a lot of people, writing a book was on my list of things to do. But I always thought that my first one would be a book for children on the topic of composting. My husband and I owned a large commercial composting facility, and I frequently went into classrooms to talk about the composting process. There are no up-to-date books for children on this topic. But sometimes our books speak to us and demand to be written. That is what happened with my first book, Who’s Been Sleeping in My Bed(room)? Researching a St. Louis County, Missouri Home. While researching the history of our home in order to obtain a century home plaque I became very frustrated with the fact that the records in St. Louis County are scattered here, there, and everywhere. I kept wishing for a guide to help me understand where all the documents are located, and where else to look, when I hit a brick wall. Since there was none available I decided to write a book to help other researchers in this area. When I approached traditional publishing companies with my book proposal, I was told that my audience was too narrow. Even the local publishing company in my community wanted my book to be broader. But I knew that if I made the book generic for all house researchers, then people in St. Louis County would still struggle to find the resources here. So I wrote it my way and made the decision to start my own publishing company in order to get the book published. What I was able to do with that first book was to come back to it later and remove all references to St. Louis County, have a new book cover designed, and convert it to an ebook. That is how Keys to Unlocking House History came to be. I would encourage authors to look at other ways to repurpose their work. 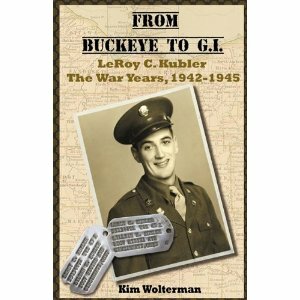 The idea for my third book, From Buckeye to G.I. 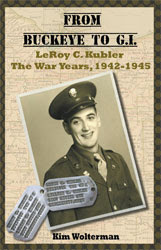 LeRoy C. Kubler The War Years 1942-1945 came about after my father died. As the genealogist in the family I inherited all of dad’s papers, photos, albums, etc. As I looked at the numerous military papers my dad had saved from WWII, as well as the photographs he had taken during his time of service, I realized that they told an interesting story of the China-Burma-India Theater, also known as the Forgotten Theater. I wanted to share the history in an interesting and informative way, so I decided to write this book. My first book was published at the end of 2009, and I have sold about 125 copies so far. The other two books just came out mid-2011, so sales numbers are pretty small so far. One of the issues (and it is a big one, I think) with From Buckeye to G.I. LeRoy C. Kubler The War Years 1942-1945 is that I used Lightning Source to print the book and put it into their distribution system. So while Amazon.com shows that my book is available, it indicates a 5-8 week delivery period! Amazon does not play nicely with anyone else in the publishing sandbox, and I feel this is their way of discouraging authors from using anyone besides their own company, CreateSpace, to print books. 3. You’ve started your own publishing company. Tell me about that. Once I determined that a traditional publishing company was not going to be interested in my book, I researched other ways to get my book into print. After talking with a number of self-published authors, reading a LOT about publishing online and in books (I highly recommend Dan Poynter’s Selp-Publishing Manual) and talking with my accountant, I decided that I wanted total control of my book. Provenance Publishing LLC was formed in 2009. 4. You’ve attempted to work with local publishers. Describe that process and how one would go about trying to do that. There is a publishing company in St. Louis that publishes local books by local authors. I found out about them through a Google search of local publishers. I tried to first contact them through the email address listed on the website, and then followed up with phone calls. None of those attempts resulted in a response, but I was lucky enough to find the owner of the company sitting in a booth at The Big Read in St. Louis in 2009. I explained my book to him and showed him my book proposal. It was at that point that he informed me my book had too narrow of a market for him to take on. I would encourage authors to seek out an area publishers association, because a number of new independent publishing companies are interested in taking on the books of other authors. 5. What sort of experience have you had trying to become traditionally published? Since I tend to write books with a niche market, traditional publishing companies are not at all interested in offering me a book deal. 6. Overall, how do you like self-publishing? Self-publishing has been a really exciting experience for me. I enjoyed all the research I put into coming up with a company name, working with a designer on the logo, and establishing the company. I like having total control of the design and pricing of the books as well as deciding which markets the books will be in. Oh, and earning 85-100% of the book sales most of the time – that part is awesome! 7. What sort of marketing techniques have you used to sell your book, and which ones have been most successful? Like most authors I have a website to sell my books, and I cultivate my online presence with Twitter, Facebook, Google+ (just dipping my big toe in that one) and LinkedIn. While my local independent bookstore carries my first book, and has sold a couple dozen copies of it, I also sell my books in non-traditional locations such as historical societies, museums and genealogical societies. But the most successful of all is when I do speaking engagements. When you sell your books in the back of the room at presentations, you get 100% of the book sales. I should add, however, that if a non-profit organization is the one who invited me to speak, I normally make a donation of a certain percentage of sales to them. 8. Are there any marketing techniques you have intentionally avoided or discontinued, and if so, why? I have avoided trying to get my books into chain bookstores. By the time the distributor takes a cut and the bookstore takes their cut, it just doesn’t seem to be worth the effort. 9. What’s the most important thing you’ve learned about self-publishing that you didn’t know when you started out? The time that it takes to write a book is only the beginning. Taking care of the business end of the publishing company and marketing the books takes a vast amount of time and effort. 10. If you could do one thing differently in publishing your book, what would it be? I hate to admit this, but I probably would have gone through CreateSpace for From Buckeye to G.I. LeRoy C. Kubler The War Years 1942-1945 had I known that Amazon was going to make it difficult for small publishers to sell their books on Amazon.com. For my first book it really doesn’t matter because my audience is so local. But the WWII book has an international audience, and in this day of instant gratification I don’t see anyone ordering a book with a 5-8 week delivery period on it. And like it or not, an author really has to be on Amazon. 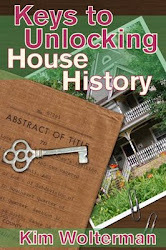 For my ebook, Keys to Unlocking House History, I did the initial distribution through smashwords.com, but then I also submitted the ebook through Kindle Direct Publishing so the I wouldn’t run into issues with Amazon on the ebook. 11. Independent authors face the obvious challenge of marketing their books without the resources of traditional publishers. What advice do you have for an indie author just starting out? Start creating buzz for your book before it is even complete. Establish a web presence and look at your marketing options, because it may impact how you even produce the book. Look for bloggers online who review books of the same genre as yours, and ask them to review your book when it is finished. If you can get popular bloggers to review the book, all of a sudden your audience is way bigger than the people who follow your blog or Twitter feed. Just ask Amanda Hocking! 12. What projects are you currently working on? Currently I am working with an author who has asked me to publish a business book. I really hadn’t considered publishing books for others, so I am looking into how to structure that type of an arrangement. Bringing the past into the present. 14. How can readers learn more about your book? More information about my books can be found at www.provenancepublishing.com or at my author’s page. I blog about researching house history at www.myhousehistory.net and about writing and publishing books at http://writeformation.blogspot.com/. And if I could add one final piece of advice for authors who are going to self-publish: hire an editor (a book editor, not your sister or a friend who is an English teacher) and a book designer (not a graphic designer, but someone who has designed books in the past) for your project. Just because your book is self-published does not mean it has to look like it is! It is now Thursday and I still cannot login to myhousehistory.net. I have received no response at all from axspace. I suspect the little guy is sitting in a basement somewhere scratching his head over my dilemma. This is beyond frustrating! I guess the silver lining is that none of my spammer followers will be able to post their "comments" about body part enlargements, movies, drugs or various other items they are peddling. That is the good news. On Saturday afternoon I will be attending a two hour presentation on researching house histories. It is a little embarrassing to admit that the St. Louis Genealogical Society is sponsoring this workshop, and they sell my book in their store. So one might imagine that they would ask the author of the book to do a presentation of this kind. I obviously do not know the right people in the organization. But I figure I will probably learn something, and I plan to have copies of my book along just in case. I won't dignify it by calling it an update. Early this morning I received an email from axspace advising me that my website had been restored to its previous configuration. Sure enough, when I entered the website address into the search bar, the website did indeed appear. Woo, hoo! But I was cheering too soon. Later today I tried to login to the site so that I could enter a post. When I hit the login button I was directed to a white screen. With nothing on it. So now I have a website that I cannot make changes or additions to, and on which no one can leave any comments. Needless to say I have sent another email to axspace. What do you want to bet that they say this is not their problem? It's Sunday. Do you know where your website is? We had about 35 people attend the St. Louis Publishers Association meeting last night, where Bob Baker and I presented the topic of getting your ebook published. The presentation went well, and the feedback on the SLPA facebook page has been quite positive. As a followup to my last post, there still is little information on the internet about the KF8 format that will be required for any ebooks sold for the new Kindle Fire. My best advice is that if you have an ebook ready to go, begin with all the other e-reading devices and have your book formatted for them. After all, that is still a huge market and not everyone is going to rush right out and get the new Fire. Especially since the new Nook Color is also due to be released this month. Designed to directly compete with the Fire, the new Nook will be slightly higher priced than the Fire but will offer more amenities, including a longer battery life and larger storage capacity. The Christmas sales season should prove interesting! Would you please let us know if you tend to change back your domain to "myhousehistory.axspace.com" ? This month's St. Louis Publishers Association meeting is Ebooks Demystified, and Bob Baker and I are the presenters since we both have published ebooks. Bob is out of town in California so we have not been able to compare notes on who is covering what. But I am confident it will all come together nicely. 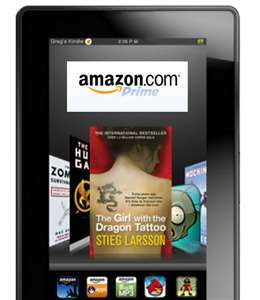 The one thing throwing a bit of a wrench into the program is the new Kindle Fire. Amazon could not leave well enough alone and use the same ebook format for the Fire as is used on the other Kindles. No, they had to come up with a new format called the KF8. While I'm sure this new format will result in a nicer, more interactive ebook, Amazon has not yet said if books formatted for the old Kindles will work on the Fire. Nor have they released the specs for the new format since the Fire doesn't arrive until later this month. 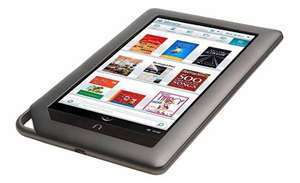 So in the meantime if you are getting ready to produce an ebook do you format for the old Kindles? Or do you wait for the KF8? The ebooks for the Fire will not be readable on any of the other devices, I don't believe. Hopefully I can get some answers before Wednesday night. Well, I have made the commitment to teach the Writing, Publishing & Promoting Your Non-fiction Book class for the spring session. I did make a few changes. First of all the class will meet on Monday nights at Hixson Middle School. 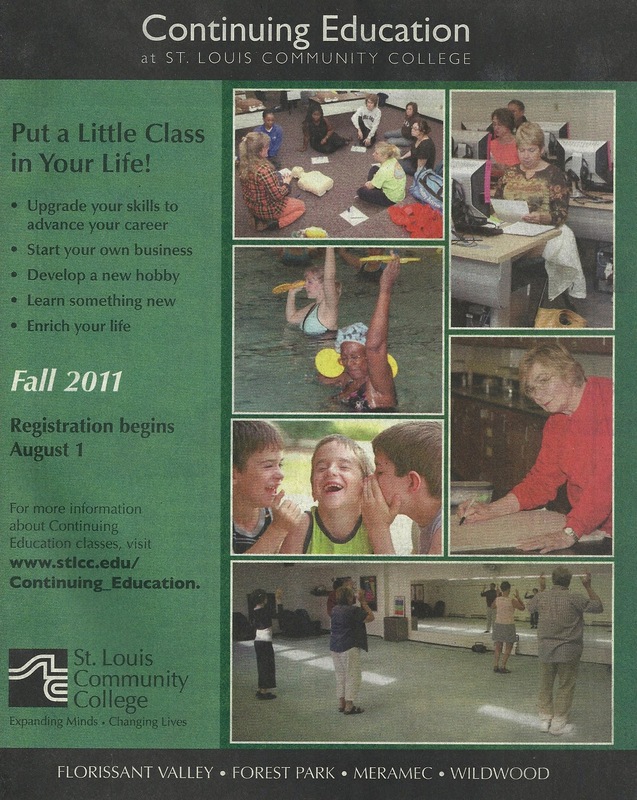 I wanted to get the class off of Wednesday nights since it conflicts with the St. Louis Publishers Association meetings. The students need to be able to attend the meetings, and since I will be the Membership Chair I have to be there to check people in. Second, I figured if I was teaching the class again I might as well hold it at the school closest to me. Besides, I didn't really like being in the basement of Clayton High School. The other thing I did was change the class description. Since the time I had taken the course it had been modified to reflect two tracts being taught simultaneously. Even after teaching this semester I didn't quite get what that meant, so I modified the description to reflect what I believe people will take away from the class. At the last class I had handed out evaluation forms for the students to complete since Meramec didn't provide me with any. Based on the feedback I received, which was overwhelmingly positive, I will also make some tweaks to my weekly classes. I was so happy that everyone thought the guest speakers were helpful. I think that they add a lot to the learning process as they are all experts in their fields. Plus they offer a different voice and perspective from mine, which is beneficial. After a website designer told me that all my Google "juice" was going to my website host due to the way they had my site routed, I emailed the host (no phone numbers provided - probably just as well since I don't have my daughter here to translate the Chinese for me!) to ask them to fix the issue. After a few days they finally replied that they had made the necessary change for the website to go to www.myhousehistory.net instead of www.myhousehistory.axspace.com. Great! The only problem is, now when you enter my website into the browser, it says that it cannot find myhousehistory.axspace.com. So my website is totally down, yet again. When I did a follow-up with axspace, they now say that it is a problem with how my domain name is set up. The domain name is not with them of course, because that would be too easy. I tried to contact Yahoo Small Business, which is where the domain has been held since I came up with it in 2008. They say I don't have anything with them and they cannot respond to email support questions if you don't have anything with them. Talk about a Catch-22! I am very frustrated by all of this, and my site has now been down for about 2 weeks. I have emailed axspace again and asked them to restore the site to what it was before, because at least it was functional then. Once this is all resolved I think I will give them and Yahoo the boot! 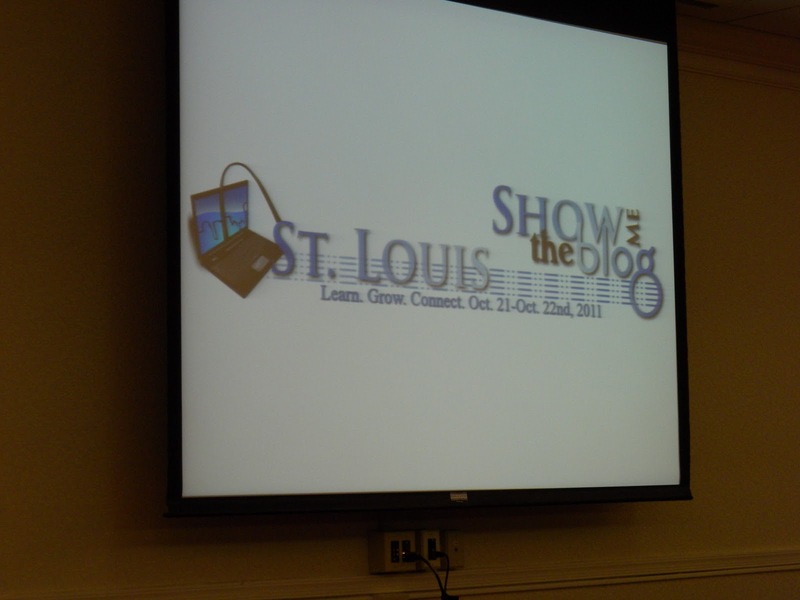 Last year I attended the first ever Show Me the Blog conference in St. Louis. You can see my recap here. 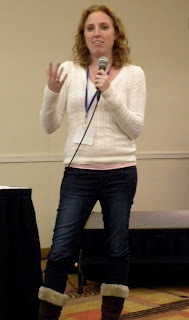 Since then Danyelle Little has put together other blogging opportunities including Blogging Bootcamp and Wordpress Bootcamp. They have all been exceptional opportunities to learn the intricacies of becoming a better blogger. 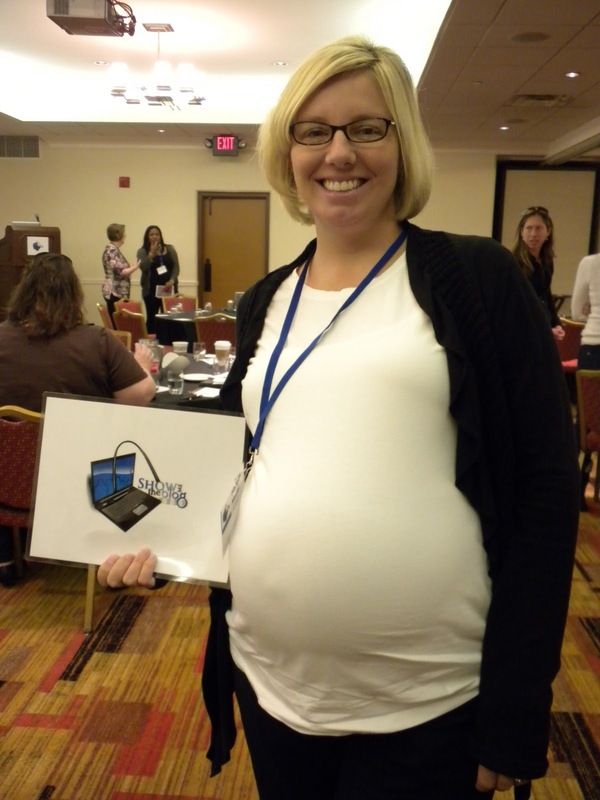 This year the second annual Show Me the Blog conference was expanded to two days, on October 21-22. The first day was dedicated to social media, and the second covered different aspects of blogging. On Thursday night we had a pre-event gathering at Luna Lounge. It was fun to see some of the past Show Me bloggers as well as meet some first time attendees. I also won a fun MP3 player courtesy of Reliv International by correctly identifying @milligfunk as the person who rocked the boots at Show Me 2010. Lumiere Place was the host of this year's Show Me event. Parking was plentiful and the meeting rooms were comfortable and spacious. Hostess with the mostess this year was the effervescent Roshini Cope. She is funny and organized - always a winning combination. The first session of the day was "So You Want a Job in Social Media", a panel discussion which helped us all to understand the role a social media expert plays in a corporation. While I am not looking for a job in social media, as the mother of a senior in college who is majoring in Marketing Communications and has experience through internships in social media, it was gratifying to hear that her job prospects are pretty good! Following that was lunch provided by sponsor Hardees. Seriously, it may take two hands to handle a Whopper, but you will need a third to do justice to the Big Angus Burger! Amazing! After lunch there was a choice between learning about social bookmarking or how to build real clients and supporters. I chose social bookmarking with Niles Flores. Social bookmarking sites allow your readers to share your posts with others. Examples include stumbleupon and digg. Niles advised placing these sharing buttons above your article's content. For my next session I listened to Lakesha Brown of XDWebSolutions speak about "Finding Networking Value & Putting it to Use for Your Gain". My main takeaway was to comment on other people's blogs and be sure to always leave a link back to your own website. "SEO: Know It, Use It" by Will Hanke was my next session, where we learned about using keywords in our posts. The last session of the afternoon was "Being Social: How to Effectively Engage Your Audience" with Liz Jostes and Kristin Zaslavsky. The recurring theme of the day seemed to be participate on other people's blogs and respond to the comments made on your blog. Also, you can see how your Facebook page ranks by going to edgerankchecker.com. Photos and videos bump up your page rankings. Day Two started out with a bang as Stef Pollack discussed "You Too Can Be a Rock Star Blogger". Not only is Stef an excellent speaker but she also had a fun Powerpoint presentation comparing Lady Gaga's transformation from a struggling lounge singer to a rock superstar to her own blogging evolution from few followers to thousands of readers who devour her unique cupcake recipes. Stef is a perfect example of how if you write good content and engage your followers, they will spread the word for you. Hardees provided another great lunch for us on day two, this time offering up a taco and nachos bar! I hadn't tried either of these items at a Hardees restaurant, so it was great to have the opportunity to do so at the conference. Following a great lunch, you might think that we would all need a nap. Not so for the attendees who chose Hannah Mayer's session "Instant Blogging: Add Water". This woman missed her calling - she should be a stand up comedien! She provided us with a humorous look at how people end up finding her site (it has skid marks in the title so I will let you draw your own conclusions). I have not laughed so much at a conference for a long time. Okay, maybe never. There were a couple other sessions in the afternoon, and then Danyelle made the right (or should I say Wright?) call by having Robyn Wright wrap up the conference with her prentation on "Building and Maintaining Relationships with Brands". She offered us her insights into the proper way to interact with brands, letting them know what you can do for them before asking what they can do for you. She stressed that you don't need to necessarily have a huge number of followers on your blog. The brand will be looking at your whole sphere of influences - blog traffic, Twitter followers, Facebook fans, LinkedIn network, and organizations to which you belong. In summary, the main thing that I took away from the conference is the power of connections. I am excited to now have a relationship with a number of the attendees from this year's conference, as well as the fact that I met a number of other authors. I think Roshini said it best - "The answer is in the room". Congratulations to Danyelle and all her staff for another excellent and informative conference. The tentative date for Show Me the Blog 2012 is October 19th and 20th. Look for more details on the Show Me the Blog website. It is hard to believe that my 6 week class on writing, publishing and promoting a nonfiction book is over. Of the 16 adults who took the class, 15 ended up completing it. Since I did not have the best experience when I took this class (in terms of some of the students in it, not the quality of the teaching or class content), I was a little apprehensive about teaching it. But I really enjoyed each and every one of my students. They had interesting topics, were great communicators, and actually did the homework assignments. The fact that all but 1 of them could tell me what their book was about in one sentence and completed the 10 questions assigned the first class is truly amazing. In the class I took two or three of us had the sentence down and no one besides me did any writing at all. You cannot have meaningful dialogue in the classroom if the students aren't doing the assignments. For 3 of the weeks I brought in guest speakers - 1 who spoke on editing, plus Bobbi who talked about writing, 1 covering book design, and 1 who talked about her experience in self-publishing and traditional publishing. I think having other people come in helps break things up for the students, plus these people are experts in their fields. For the week when we covered promotion we ended up attending the monthly meeting of the St. Louis Publishers Association because their speaker, Lethia Owens, is a marketing expert. That was a good call because she was a fantastic speaker with a lot of good information. The community college did not give me any evaluation forms, so I made up my own. I wanted to know what the students thought was most valuable, anything they didn't like, and what they would change if they could. I also was curious as to how the guest speakers were received. Overall I got great feedback from the class, and some good suggestions for how to improve the course. Several people wanted the class to last a couple more weeks, but at the moment I don't know what other content could be added to make that worthwhile. Another big thing expressed both in class and on the questionnaire is that several of them would like for me to critique their writing. I did not feel like this was something that the class was intended to provide. My job was to help them understand how to write a book and get it published, not how to WRITE in general. At least that is my interpretation. I do not feel qualified to instruct anyone on the mechanics of writing. I am not an editor, nor am I a book coach. Maybe the program brochure needs to be more clear, but I thought I had emphasized at the beginning that I/we would not be reviewing the actual writing. I had to let the community college know by the end of September if I would teach the spring session of this class. I thought they were making a big assumption that Bobbi would not be back, so I called to discuss this with her. At first we thought that we might team teach the course, but Bobbi has officially "passed the baton" (as she calls it) to me. So I told the community college that I want to change the night to anything but Wednesday since I don't want it to conflict with the St. Louis Publishers Association. I also asked if I could teach it at Hixson Middle School, since that is so much closer for me. So I guess the spring session will be at Hixson on Monday nights. I can only hope that I get the same caliber of students that I had this session. 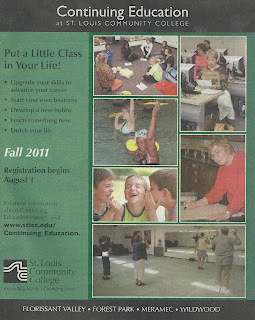 They made my first experience of teaching at the college level very rewarding. As I had mentioned in an earlier post the lovely folks at 6 North Cafe invited me to hold a book signing and presentation about researching house history at their Ballwin location. We had selected this morning as the date, and what a beautiful day it turned out to be. Sometimes that can be bad for an author event because people want to be outdoors during these lovely fall days. The event was promoted by the cafe through their social media and local contacts as well as by me. Things started out on the wrong foot for me as my mapquest failed me. It said it would take me 17 minutes to arrive at my destination, and that 6 North Cafe would be on the right hand side of the road. I allowed 30 minutes for arrival, thinking that on a Saturday the time would be adequate. First I was overshot the address. In my defense, not too many of the businesses have an address large enough to read while operating a car. A few more trips up and down Clayton did not reveal the business to me. I finally stopped and asked the kind lady at Clarkson Eyecare if she knew where the cafe was located. Fortunately I was close, and it was on the left hand side of the road, not the right. Bottom line is that I was 20 minutes late and I was mortified by that. As there was no long line of fans waiting for my arrival, it was not that big of a deal. My tip of the day is to always ask your host for help with directions! I do not know why I didn't do that since I was unfamiliar with the area. As it turned out no one arrived to buy my house history book or to hear my presentation. (Though I did sell one copy of From Buckeye to G.I.) So you might think that I am disappointed in the outcome. But you would be wrong. Four other authors came to the cafe, two because I had been announcing it and two by coincidence I believe. We had a wonderful discussion about traditional publishing versus self-publishing, ebooks, marketing, printers - you name it. It was fantastic! In fact, I would love to see all of us, and more, get together for coffee once a month or so to share ideas. Even though the St. Louis Publishers Association meets once a month, there is never enough time to have the kind of conversation we were able to have today. Top all of that with a fantastic cup of brewed tea and an amazing pumpkin scone, and my author event was great! Then I went to Kindle Direct Publishing, Amazon's own book publishing arm and set up an account. 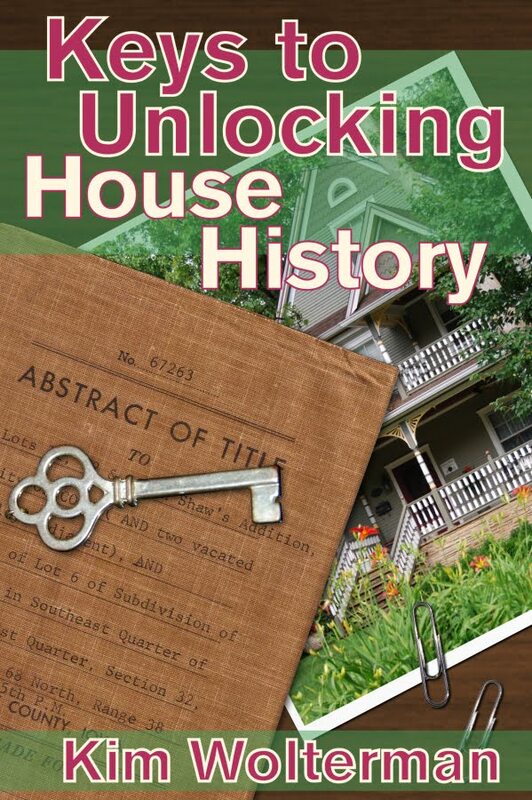 I uploaded Keys to Unlocking House History and in a little over one day the book was available in the Kindle Store on Amazon. Since I now have this account with books for sale on Amazon, I headed over to their Author's Corner and set up a profile for myself. I was able to add Keys to Unlocking House History and From Buckeye to G.I. to my profile, but not Who's Been Sleeping in My Bed(room)? I have not sold that book through Amazon, so I figured that was the problem. I filled out a help request form and was given the option of having someone call me. I barely hit the send button before my phone was ringing. An extremely helpful woman named Theresa went over all three books with me, adding the correct subject areas and search terms to each of the books. She mentioned that Who's Been Sleeping is only available on Amazon if/when a third party puts it up for sale. I asked how we could get around that, and she said she would email me information on their Advantage program. As I understand it, I would send books to Amazon and they would sell them and mail the copies out to the purchaser. So that is something I will need to look into, and I'll probably talk to some of my publisher friends to see how successful this program is since I believe there are fees involved. In the meantime though, kudos to Amazon for an amazing customer service experience today! Yesterday an incredible event for authors and publishers took place in St. Louis. 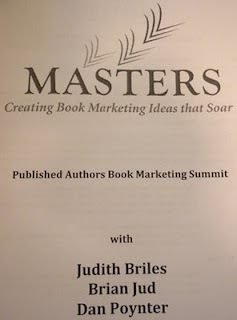 Brian Jud, Judith Briles and Dan Poynter spent a full day here at a Book Marketing Summit. For an extra fee of $75 there was an opportunity to have dinner with the three of them on Friday night to brainstorm ideas for marketing your book. At first blush that seemed a little pricey, but when you consider that you would have the undivided attention of three publishing powerhouses, it actually might have been a deal. We had tickets to the Fox Theatre, so attending was not an option for me anyway. I will attempt to summarize what I learned from each of the three "Masters". Dan Poynter started the morning, so I'll begin with him. I have a lot of respect for Dan and heard him speak last year at Publishing University. He is the author of, among other books, The Self-Publishing Manual. I always tell people that if writing a book is like giving birth to a child, then Dan was my birthing coach. His book really helped me understand how to set up my publishing company as well as produce and market my first book. 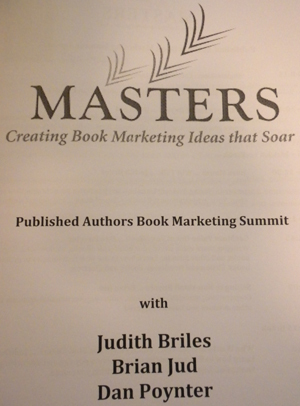 Judith Briles was the second speaker, and she is the author of 28 books and has, indeed, been on Oprah. She is known as The Book Shepherd and the founder of Author U.
make sure that the main page on your website is not static, but changes with your tweets, Facebook feeds, etc. Brian Jud is also an author and publisher, and his latest book is How to Make Real Money Selling Books. This is but a small overview of what I learned yesterday. It was an information-packed day that was well worth the the time and money I spent. St. Louis was very lucky to pull in three speakers if this caliber, and some credit goes to the St. Louis Publishers Association for making it happen. I have a long list of things to do now! Yesterday I had two interesting phone calls. The first was from a mentor and friend who asked if I would be interested in teaching her adult education class at the community college this fall. She is having some medical issues that will prevent her from being able to teach. I am very flattered that she thinks I am qualified to teach the class, but quite frankly the call caught me totally by surprise. I have been giving the question a lot of thought, and we are going to discuss the matter further today. The second call came from the owner of Six North Cafe, a family owned business with two locations in St. Louis. They periodically have authors come to the cafe and talk about their books/do book signings. She got my name and phone number from the owner of Pudd'nhead Books, which I thought was interesting in and of itself. The authors are scheduled to come in either late Wednesday afternoons or Saturday mornings. I am very interested in this opportunity, but if I decide to teach the class noted above then Wednesdays would be out for me. But it sounds like fun! I haven't posted anything here lately because, quite frankly, I haven't been doing too much with Provenance Publishing. I spent a week and a half up in Iowa helping out with my mother-in-law as she had carotid artery surgery, and my Internet access was sketchy at best. At least until I set my father-in-law up with a wireless router. I was pretty proud of myself for being able to do it alone, except for the assistance of my new BFF from Pakistan. Or wherever the Belkin representative was located. It was so great to be able to get on the Internet up there with my laptop, instead of having to borrow my father-in-law's computer. I have not sold any copies of my dad's book, nor have any copies of my house history ebook sold yet. I know that they will not sell themselves, and that I need to be doing my marketing. For some reason I lack the motivation right now. I need to get my website organized to promote the books, and I hope to work on that next week. I also need to sit down and update my marketing plan for dad's book, and work on figuring out the Kindle angle for my ebook. I thought smashwords.com got you into the Kindle market, but apparently I was mistaken. I guess I have my work cut out for me next week. Sounding Board or Punching Bag? Well, the box of books has been here a while and I haven't done much with them. Since I have previously published a book, I know what I should be doing. Why does marketing always seem like a four letter word, when it so obviously isn't? I think for me it is because the whole process of getting the book into its final form, whether print or ebook, is such a long journey by the time you are finally done you don't want to look at or think about the book for awhile. And maybe I thought that since I printed the book through Lightning Source with their huge distribution system it would be easier this time. I did put two copies of the book in the mail today, so that is something. The first copy was sent to one of the veterans who was kind enough to review the book, offer input, and provide a quote for the back cover. The second book went to the Library of Congress. If you request a catalogue number from them, which helps the libraries find your book, then you must send them a copy of the book when it is completed. I can now scratch those two things off my list of things to do. On Wednesday I took a copy of the book with me to my local independent bookstore with the intention of asking her if she would like to carry the book in her store. She has been selling my other book, Who's Been Sleeping in My Bed(room)? since 2009 and has in fact sold 19 copies of the book. She is down to her last copy so I thought it would be a good time to introduce my new book when dropping off additional copies of the first. As it turns out, I left none of my books there and it is quite a story. As soon as I walked in the door she acknowledged my email and the fact that she had yet to respond, but said she would love to be on the panel. Just as I was thinking "Great!" she went on to add that we wouldn't like what she has to say. She said that we all need to send our books to an agent, and that if it is a great book then an agent will pick it up. We should not be self publishing during a time when even well known authors are not able to sell their books. She does not want to deal with people who do not understand why she needs them to discount their books 40% so that she can keep her store in business. Now remember that I am one of the "people" she is referring to! I told her that on behalf of myself and other members of our organization, I beg to differ with her. When you have a book that is only intended for a niche market, no traditional publishing company is going to pick you up, no matter how well done the book is. She agreed that there are exceptions, but that I should have approached one of the local publishing companies. I explained that there is only one, and he turned me down because he thought my audience was too narrow. Since I have sold over 100 books, I think he is wrong. She said I should go back to him now, and I asked why should I? I have done all the work, why should I turn anything over to him now? She then launched into a rant about all the authors approaching her with their memoirs, and how they shouldn't even be writing the book themselves but should hire a ghost writer instead. Bottom line - no one should self publish. I explained to her that we really were not even asking her to discuss any of that, we simply were hoping that she could talk about author events such as book signings. That set her off on another rant about how you might as well have a party at your house and invite all your friends and relatives because they were the only ones who would come to a book signing and buy your book anyway. But if we wanted her to come and talk, she would LOVE to come and speak her mind. I said, "So if we want a Debbie Downer on the panel, you're our gal, huh?" and she said, "That's right!" She wrapped things up by adding that she would be happy to host a publishers meeting (no doubt so she could speak up from the back of the room and tell everyone how they must not be real authors if they have to do it themselves), and also, by the way, she would love to have more copies of my book to sell. Does anyone else see the irony of that? Yesterday I received a box containing the 20 copies of my dad's book which I had ordered from Lightning Source. Now, what to do with them? Ha! I am readying copies to be mailed to one of my kind book reviewers, the Hump pilot from Texas. (My other little Navy reviewer recently lost his wife of 53 years to cancer, and has since relocated. I will let a little time pass and see if I can get a new mailing address for him.) A second book needs to be mailed to the Library of Congress, per their requirements in giving you a Library of Congress Control Number to place in the book. The Library of Congress number helps them maintain their catalog records and assists other libraries with the acquisitions of books. There is no fee charged, but you must supply them with a copy of the book when it is published. I also need to decide if I want to apply for the formal U.S. copyright. I did it with my other book - there is a $35 fee if you file online, and then you must mail them 2 copies of the book when it is printed. You have copyright protection by nature of the fact that you wrote the book, but this makes things more official and, I presume, easier to fight copyright infringement. Then I think I will donate a book to the Delhi Historical Society and one to the Hamilton County Genealogical Society since those would both offer good exposure for the book. I also need to have some work done on my website so that the book can be purchased there as well. I spoke with Lightning Source (LSI) about turning this book into an ebook. I did not even realize they handled ebooks until I signed up with them. Smashwords had indicated that they couldn't touch this book due to all of the images, so I was not optimistic that LSI would be able to work with it. Obviously there is no need to have it in a Kindle, Nook or other e-reader format. But it definitely would read well as a PDF on a computer or as an ePub on the iPad. My rep at LSI said that they could sell the ebook version. It is all ready to go as a PDF, though I need to assign a new ISBN number to it. And that would mean changes to the inside front matter as the ISBN is listed there. I haven't tried to do an ePub format yet, so I will have to research that some more. So much to learn! As writers and/or publishers, at some point we all need to hop with both feet into social media. Blogging is a great way to start to build a following for your book, and a lot of people begin with blogger.com. This blog as well as my personal blog are both on the blogger.com platform. It is very user friendly, proving in my case that you can teach an old dog new tricks. However when it came time to develop a blog for my passion of researching house history, I elected to go with WordPress.org. I chose WP for a couple of reasons: 1) it looks more like a website, containing static pages as well as the pages you update more frequently, such as your blog pages; and 2) you can make sales on WP, which was important to me as I was just completing my book "Who's Been Sleeping in My Bed(room)? Researching a St. Louis County, Missouri Home". WordPress is not as friendly for newbies as blogger.com, however. So when I learned that Show Me the Blog St. Louis (SMBSTL) was hosting a WordPress Blogging Bootcamp last weekend, I jumped at the chance to participate. Having attended two other workshops put on by Danyelle Little of SMBSTL, I knew my time would be well spent. More than 20 eager bloggers crammed the conference room at Nebula Coworking on South Jefferson. My head is STILL spinning from all that I learned, but I will try and summarize the points that struck home with me the most. The first part of the workshop was conducted by Kesha Brown, founder of XD Web Solutions. Check out Kesha's website at http://xdwebsolutions.com. First of all, you can set up your blog on either WordPress.com or Wordpress.org. With the .com site you have limited storage space, you cannot accept ads (a source of revenue for many bloggers), and you will have a long domain name. The .org site allows you to have ads, make sales, and own your web content. Both sites are free. Check out the WordPress.org site for lots of helpful articles. It is recommended that you grab the domain names that are pertinent to your business, such as yourname.com and yourname.net. You will also want the .com and .net domain names of your business or the name of your book, for example. Kesha then set us up on a WordPress blog so that we could all follow along as she went through the features offered by WordPress. This workshop was really hands-on, as we had been instructed to bring our laptops or tablets with us. It was so helpful to be able to actually do the steps as she was explaining them to us. Kesha finished up by going over her favorite plugins for WordPress. She also talked about using other forms of social media to increase your web presence. Twitter Tools is a plugin that will automatically upload your WordPress post to your Twitter account. Using Facebook and LinkedIn will also help build your social media rankings. Following the workshop, I came home and made some changes to myhousehistory.net, incorporating my new-found knowledge. I still have things that need to be addressed on my WordPress site, but attending the blogging bootcamp gave me the confidence I need to not be intimidated by my own website! 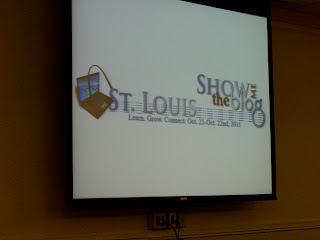 This fall Show Me the Blog St. Louis will be offering a two day blogging workshop in St. Louis. You can find the details here. I highly recommend attending this extremely reasonable event. You won't be disappointed! The next decision I had to make was how many copies to order for myself. I get the books greatly discounted from LSI, in fact much less than I anticipated. I know I could not have gotten them printed in St. Louis for this price. I decided to start with an order of 20 copies since I had to pay for postage and it wasn't that much more to ship 20 than to ship 10. I know I will easily sell 10 to my family members, and I will be marketing the books to some Cincinnati retail outlets as well. I also need to mail one copy to the Library of Congress as required by my application for a Library of Congress number. With regards to my smashwords.com account and my ebook Keys to Unlocking House History, I am still waiting to be approved for the premium catalog. Normally this takes two weeks, and I resubmitted for inclusion on June 15th. I was hoping that since this was a re-submission and that I hired a designer familiar with smashwords to make the changes, I would breeze through a second time. Apparently not. Well, the proof of my dad's book arrived yesterday at 5:15, thanks to my trusty UPS man in brown. My first impression was, "Man this box is small!" My second was, "Man this book is small!" After a quick glance at the cover (which looks great! ), I had to set the book aside because I was in the middle of an online chat with my daughter in Prague. After that I had to prepare supper, eat and do the clean up. Then I sat down to look at the book. I am seriously concerned that I have priced the book too high at $9.95. Before deciding on a price I went to the bookstore to look at other books in this genre and of a similar size. Most of them carried a higher price tag. I also knew what my expenses were on the book, except for the price that Lightning Source will charge me to buy my own. I also know how much time I put into scanning documents, doing the research, and writing the book. There are some fantastic historical documents that appear in the book, and some of them can't be found anywhere else. The price seemed fair at the time. But now when I look at the size, I am not so sure that people will be willing to pay that much for it. It is not a done deal yet. I could send the book back to the designer, and she could modify the price that is listed on the order form inside the book as well as in the bar code on the back cover. This, of course, would incur additional expenses. Or I could try the book at this price and if it doesn't sell, then make the changes. And any books I sell myself can obviously be sold at whatever price I want. I could make the audience feel that I am giving them a real break. I think I will bounce the whole price thing off of some other authors and book sellers before I make a decision. Today I received the revised copy of Keys to Unlocking House History from my Smashwords formatting wizardess, along with an invoice for $20. Really? I spent more than $20 trying to decipher the Smashwords manual. I know who is getting all of my future ebooks for formatting. I uploaded the revised document to Smashwords and it flew right through the first acceptance level. Hopefully this will put the book on a fast track to get in their premium catalog. I also learned today that the proof of From Buckeye to G.I. has been mailed to me, and I should be receiving it tomorrow. I am very excited to see the print quality of Lightning Source, and to learn about their distribution channels. I really don't intend to purchase too many copies for direct sales - probably just enough for my family and perhaps the Delhi Historical Society and veteran's association in Delhi (which is where my father lived). I do wish that I had targeted completion of this book to coincide with Memorial Day. That would have been a good launch day for it. Unlike my house history research book, I am not sure that this book lends itself to speaking engagements. Unless I tailored the presentation to the importance of documenting the stories of the WWII vets before it is too late? On the ebook front, I found a woman willing to make the appropriate changes to Keys to Unlocking House History so that it can be included in Smashwords premium catalog. She said she will be able to get to it this week since the book is so short and there were only a couple of things that needed to be corrected. She attempted to explain to me what Smashwords e-geek speak was saying, but she may as well have been writing in Greek. For $20 or $30, I am going to let the pros do their thing with all upcoming books. Approval of my account with Lightning Source (LSI) finally arrived today. This was after emails going back and forth on completion of online forms, downloading of multiple documents requiring signatures, and faxing forms back to LSI. In talking with more established LSI clients, apparently this is all new as they never had to complete all the paperwork or experienced any delays. My word to the wise is to apply for an account with LSI well before you are ready to send a book to them for printing. Having just downloaded the six page document on uploading my book, the next step is to see if I can make that happen. I am hoping there is something in there about uploading large files, because I had problems sending the book back and forth to my designer. On the ebook front, I was informed by Smashwords yesterday that there are two problems with "Key to Unlocking House History", preventing it from getting into their premium catalog. One has to do with Heading formatting and the other to do with NCX for the e-pub format. Googling these two items resulted in me understanding that I have absolutely no idea have to fix the first problem, and no idea what the second problem actually is. So I have emailed one of the ebook conversion specialists recommended by Mark Coker to see if she will take this on, and how much it will cost me. I am definitely learning something new every day! My new go-to cover designer should be sending me a copy of the cover of my dad's book this weekend. She was going to work with the cover Katie came up with and somehow marry it with the spine and the back of the book. I am excited to see how it looks. She was complimentary of Katie's design, so that was good to hear. Of course, she could have just been trying to be nice, but I did ask her for her opinion and said modifications could be made to it. I am still waiting for Lightning Source (LS) to approve me as a publisher. They sent me an email with a bunch of questions I had to answer, like how many books do I intend to publish with them in the next year? and will the books be print ready or would I need design assistance from them? I didn't realize that they were in the position to be so picky. Maybe they are only accepting publishers who will do a lot of books. If so, I'll need to explore my options. Perhaps Createspace? When this book is finally ready to go to print I don't want it languishing because LS can't decide it they want me or not. Obviously I need to work on my marketing plan since I neglected to put a link to my new ebook in my last post. Here is where you can find the book, download sample pages or purchase Keys to Unlocking House History. As of today, five people have downloaded samples of the book. There have been no purchases. I am hoping that once the book gets into Smashwords' premium catalogue I will begin to see some sales. I need to get started on self-promotion of the book as well. I finished up the revisions of my house history research book, following closely the ebook offered by Smashwords on how to successfully send a submission to them. Taking a deep breath, I hit the upload button. I had to take a few more steps because I got questions back from them (such as "Where is your cover?" and "Where do you want your money sent?") Now frankly, if they had you complete the online "paperwork" first before telling you to submit, these issues could have been resolved ahead of time. But regardless, I got everything sent to them and bam! My ebook went live! It was quite amazing. I am still awaiting approval to be added to premium status, which gets me in their premium catalog for distribution to major retailers. That can take up to two weeks, so I am hoping all my diligence pays off in getting me into this status quickly. Here is the cover for my new ebook. I am really happy with how it turned out. It seems to contain all the suggestions I have seen for creating a good ebook cover. I have been working my way through the Smashwords guidelines on converting your Microsoft Word manuscript into a successful ebook submission. Is it ever tedious! But I am shooting for getting it accepted on the first submission. Apparently not many people make it through on the first try. We'll see what happens. I have made the changes and have printed out the book to see how it looks. I need to verify that I removed all references to St. Louis County, as well as the forms I made available in the print book. The forms cannot be reproduced in an ebook. Down the road I think I will package the forms as a pdf and sell them separately off the website. In terms of my dad's book, I am at a standstill until I get the back cover and book spine designed to go with the front cover that Katie came up with. On a whim I asked the ebook cover designer if she knew of anyone who would do those two pieces without also wanting to do the front cover. On her website she had indicated that she no longer is designing print book covers. She said that since I am going to print through Lightening Source, she would take on the project. I'm not sure what difference the printer makes to her, unless it is because she is familiar with their cover specifications? At any rate, I plan to take her up on her offer. I need to get a few things put together for her before she can begin. I also need to ask her what the charge will be for the design. She was so reasonable on the ebook, I'm hoping this print cover will be an acceptable fee as well. The e-book I am working on, a revised vanilla version of "Who's Been Sleeping in My Bed(room)? ", is coming along. I still believe that I will e-print this book through Smashwords, so I turned to them for assistance with the cover design. Mark Coker, founder of Smashwords, provided me with a list of freelancers who will assist you in getting the interior of the book Smashwords-ready, as well as those who design the e-book covers. I am still attempting to do the interior myself, but I selected a woman from Mark's list for the cover design. We have been exchanging ideas back and forth, and I sent her a copy of my original book cover to show her what we did for the first book. 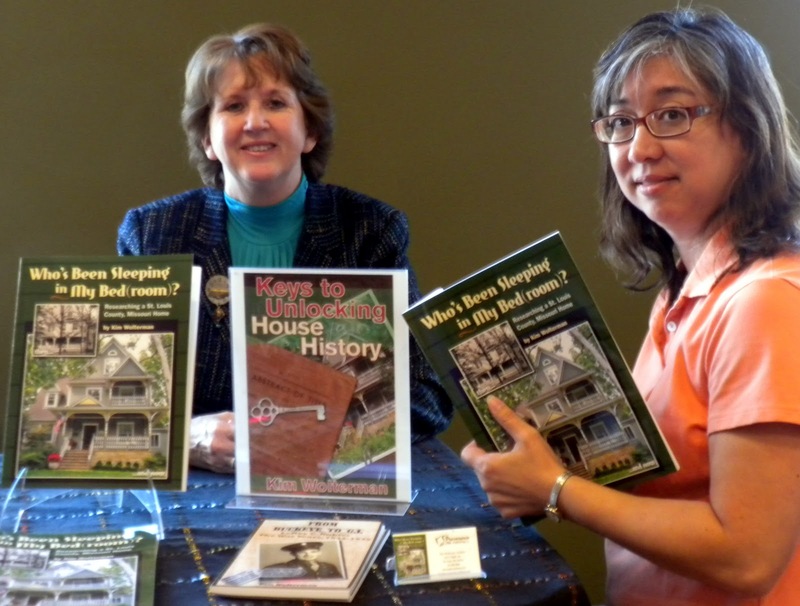 The e-book version will be called "Keys to Unlocking House History". I like where she is going with the cover. She is cleaning up a scan of an abstract to use, and I had asked her to replace the house keys she had used with more antique-looking keys. I sent her a link to a free jpeg I found, as well as a photo of an old key that I had taken. She might be able to just duplicate the key a couple of times in photoshop to get the look I am seeking. I can't wait to see the next revision! I have been remiss in not mentioning that the myhousehistory.net website is up and running again. Cyber Peggy finally came through with setting up a new email address for me, which I then used to request a temporary password. I was finally able to get in to axspace, change to a new password and pay the bill. Voila - ready to go for another 12 months. As I have previously discussed, this website was built on a WordPress platform, and I have never installed any of the WordPress updates on it. My philosophy is if it ain't broke, don't fix it. I am afraid if I do an upgrade, everything will get screwed up. But I recently read that Google somehow knows when you don't update the site and stops listing you in the web searches. So apparently I will have to bite the bullet and update. Before I do that, however, I have signed up for a workshop called Blogging Bootcamp, which takes place on June 11th. It is specifically for bloggers who use WordPress, so it should be great. If nothing else, I hope to meet someone that might be available to hire when I need to be bailed out. Hopefully for less than the $150 per hour my original consultant charges. As I have been happily going about my research on e-books, cyberspace has been plotting against me. When I went to add a post on the myhousehistory.net website April 27th, I got the dreaded "This account has been suspended" message. Seriously? This is what visitors to my site are going to see? As I checked records, I believe the web hosting came up for renewal in April. Long story short, I thought that we had moved my website to a different host after this host became hostile last year. Apparently that was not the case, and since I didn't pay my renewal fee, Axspace gave me the axe. Trying to rectify the situation has become an exercise in international diplomacy, as I am convinced I'm dealing with someone over in Asia somewhere. The first email from them told me that a ticket had been created regarding my inquiry. The second email reply told me to log in to my account and pay the bill. Should have been easy, but the Axspace website wouldn't let me in. Third email asks me what my domain name is. Fourth email tells me that they can't find my account, myhousehistory.net and that they need my name to look it up a different way. Huh? What have they been looking at all this time? I guess my name at the bottom of each email wasn't clear enough. Fifth email tells me to reset my password. You supposedly accomplish this by entering your email and asking them to send you an email with the followup. Well, the followup never came. A new email to Axspace results in answer number six telling me that if I have forgotten my email address, they can accept a new email from me provided I give them my date of birth and my school mascot. So this is where we stand after four days of "communication". I am still suspended. Sometimes I hate the "virtual" world! The interior of the book is finished! I received my virtual copy from the designer on Thursday, ready to be shipped off to a printer. So, next on the hit list is the exterior design. Katie has created the front cover for me, and it needs a little tweaking. But the spine and back cover still need to be done. Obviously it would make sense to have her do those as well. Unfortunately she is down to her last 19 days of college, so no way can she look at it before the end of the semester. And then she will have exactly 4 days in St. Louis before she heads off to Prague for a 5 week marketing session for school. I need to decide if I want to wait until July to have her complete the cover, or just turn it over to a different designer at this point. In the meantime I have been working on my e-book. I decided to take my house history research book and strip out all references to St. Louis County, and then turn the remainder into an e-book. I think there is a market for the book as no other e-books exist yet on this topic. Plus I am very curious to see how all this e-book stuff works. I am going to go with Smashwords to produce the book. First of all I heard Mark Coker, the founder of Smashwords, speak at Publishing University last year and I was impressed with him and what he is doing. Second, he will format the book for all of the different reading devices, and will put the book into distribution. There is no charge to have him set up the book, and he just gets a percentage (I believe 15%) of each sale. That beats the heck out of the 40% or more that bookstores get on a printed book. I have downloaded the Smashwords instructions (of course it is an e-book!) on how to properly set up your book in Microsoft Word prior to uploading it to Smashwords. I think I will be able to handle this myself, but if not Mark offers a list of reasonable contractors who will get your Word document into the proper format. I also contacted one of the e-book cover designers that Mark has worked with to see if she is interested in doing a cover for Keys to Unlocking House History. I just sent an email on Friday, so I haven't received a reply yet. I really did not expect to with it being Easter weekend. The times, they are a changing!